Hi Friends! This is Julie from Mrs. Lee's Kinderkids. Thanks so much for hoppin' over to read the great things we have going on here at Blog Hoppin' this week! 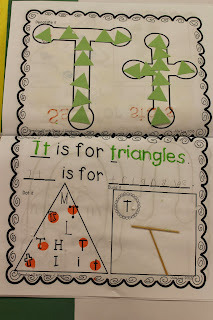 I began our Alphabet Journal this year and I absolutely love it…so do my kiddos! They are totally engaged in this hands-on journal. 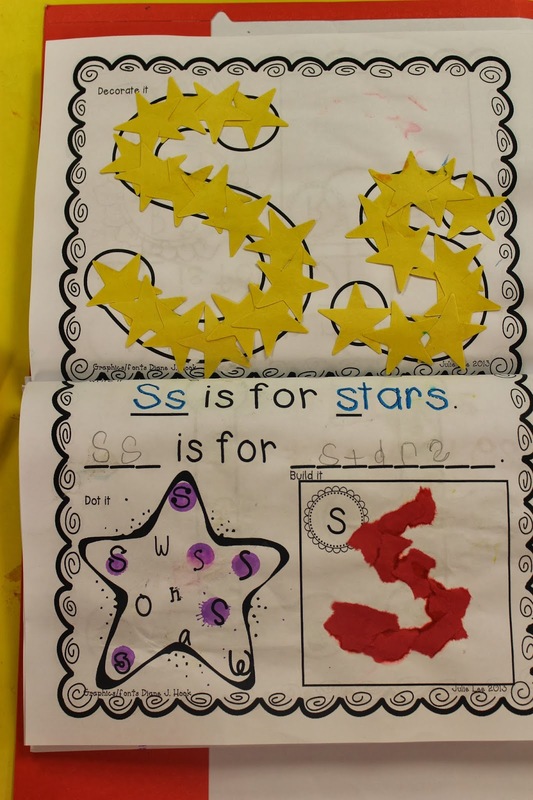 I've seen ABC journals before, but haven't really found one that was very hands-on. I didn't want simply a tracing journal, but one that was fun, hands-on, and one that was a little unpredictable from week to week. Now, for the part that makes my prep life easier…once these are made, it is something that's always there and ready each week. I prep most all of the materials for the year at the beginning of school. I keep the letter manipulatives in a drawer caddy that I got at K-mart years ago. I forgot to snap a picture of it, but I got it in the tool section. It has 12 drawers that are see-through. A few of the things I do have to pull out each week like cotton balls, glitter etc. Once my kiddos got the hang of how to complete the journal, they rarely have to ask for my help if ever, which maximizes my teaching time. 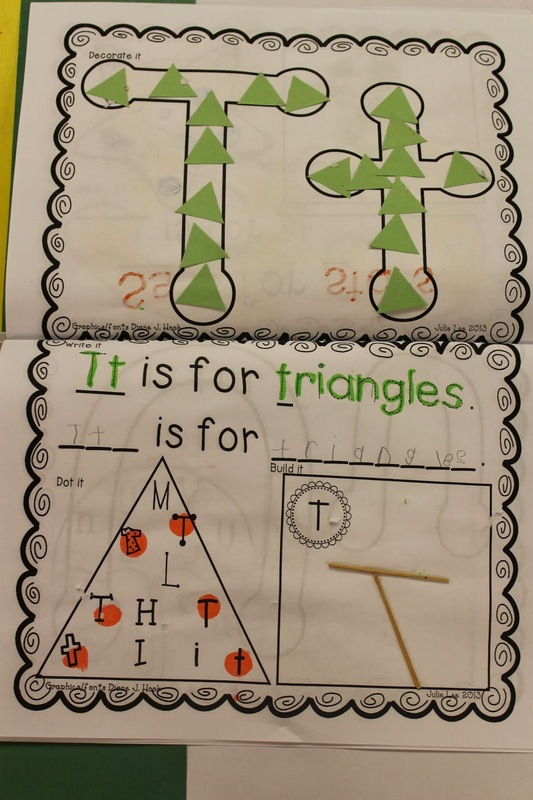 Each letter has a decorate it, trace it, write it, dot it, and build it section. 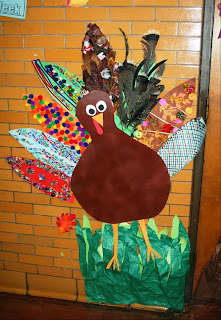 Here, we used apples to decorate our Aa and we built it with torn paper which is great for fine motor skills. For Tt, we decorated it with triangles and built it with toothpicks. For Pp, we painted the Pp's with pink and purple, and built our Pp's using pipe cleaners. Elizabeth here from Kickin' it in Kindergarten. This is my all time favorite sight word game. The kids beg to play it on Friday. 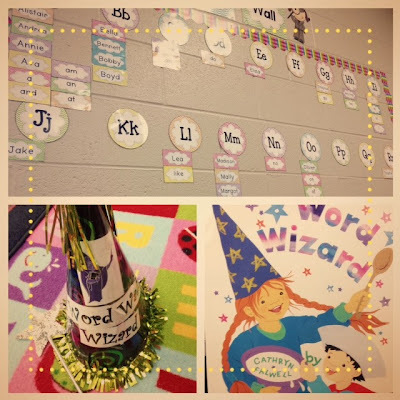 I read Word Wizard at the beginning of the year to introduce the activity. We play this game every Friday to review the sight words introduced from the week and all year. We all cozy up in the library...since that's where the word wall is. 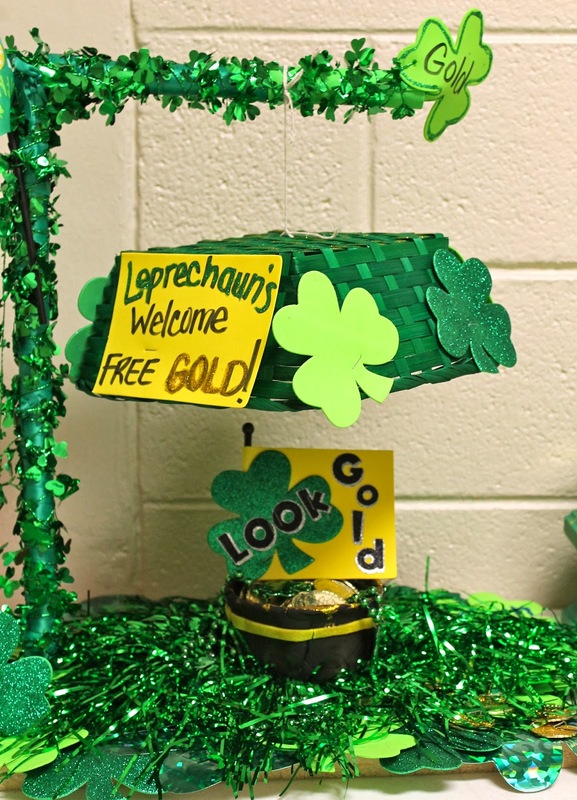 One student is the wizard and they get to wear the wizard hat (which is falling apart) from Party City. I think I paid a whopping $1.50 for it. The wand was in the dollar bin at Target. You could also use the wooden spoon as a wand since that's what the girl uses in the book. I used to have this as a poster next to the word wall, but there I don't have room for it this year. If you want a copy of it, feel free. Just click on the picture to get the PDF. So here's how it would go down. One lucky wizard is picked, I have them whisper their word to me. They put on the hat (and it always falls off) and wave the wand and do their schpeel. For example, the word is "you". They stand in front of the word wall and wave the wand and say "Words, Words, I know them all. I'm the wizard of the word wall. I'm thinking of a word that has three letters and begins with a "y"." The wannabe wizards raise their hands until someone says "you". Rinse and repeat. I love this activity 1. Because they love it and 2. Because they are all activley engaged in finding words on the word wall. Hey ya'll! Erin here from Eberhart's Explorers. 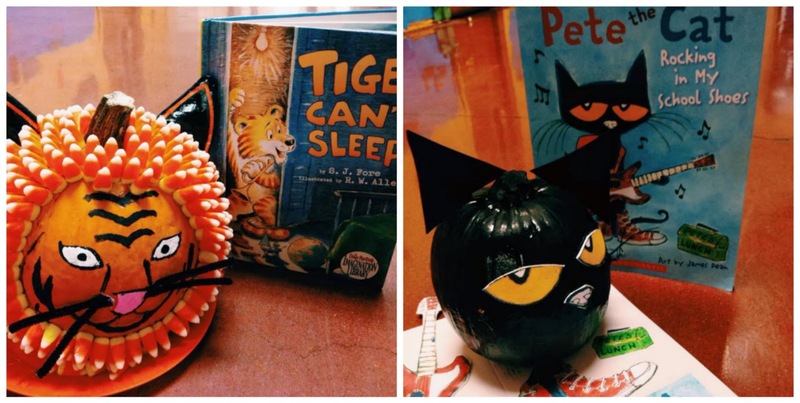 Today I'm bringing you "Activities like....Family Projects." August: All About Me page. 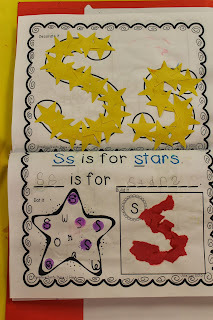 Pages are shared and combined into a class book. Students LOVE looking at this book during their classroom library time. 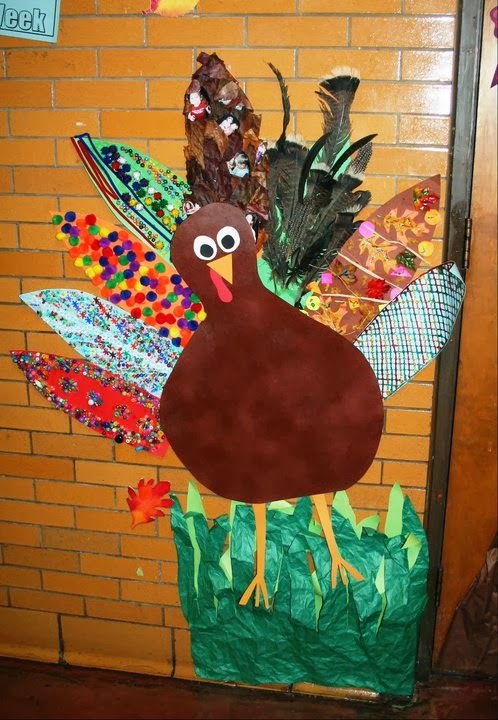 November: Decorate a turkey feather to add to our class turkey. December: Disguise the Gingerbread Man and help him hide from the hungry fox! If you've never tried something like this, I totally recommend it. Give it a whirl one month and see how it goes...then pencil them in your schedule for next year! You'll love them - promise. Hey there!! It's Katie from Little Warriors! I've got....Activities like this are inquiry based! Activities like this are engaging, challenging and fun!!!! I was lucky enough to be able to participate in a STEM grant a few years ago and it really got me thinking about how I could include Science more often in my curriculum. Sadly, Science is often overlooked in the primary grades. But, it is so important for us to spark their interest and imagination when they are young. It is so important in our ever-changing world today to inspire critical thinkers and problem solvers. Science plays a huge roll in that. So, it's important for all of us to try to integrate it into our current curriculum. The first one is Where Does Garbage Go? I do this activity around Earth Day. They have a cup of Cheerios that represent tires in their dump. They have to crush them up so that can actually see and have a fabulous visual of what it means to REDUCE waste. Then, we use our smashed up tires as one of our ingredients to make a road. Another one of my favorites is Cheeto Pollination! I like to throw this in during my insect unit...but, it would work equally well during a plant unit. For this one, they use their little bee puppets to fly to a flower. The kids are allowed to each their Cheetos (remind them NOT to lick or wipe their fingers.) They notice how the Cheeto dust (pollen) sticks to their fingers. When they are finished with their Cheetos, they fly to a friends' flower and land on it to see how the pollen is transferred and pollination occurs. Thank you Katie! No worries about the text only, the linky is still amazing! Love the building the letters with the shapes!! I absolutely love this linky party...very creative and cute! 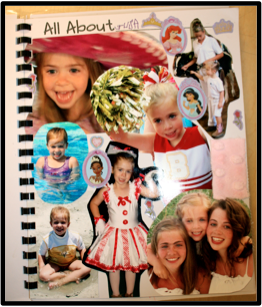 I wish I would have gotten my act together sooner so that I could have blogged on Monday and Tuesday as well. Oh well, I will definitely try for Thursday and Friday. Thanks! These are great. 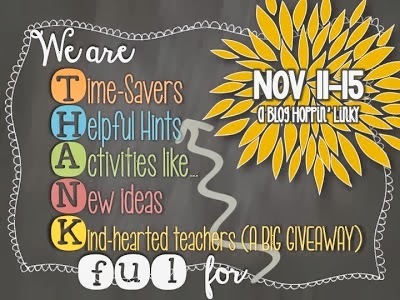 Love all the resources Thank You!